The Hobart Museum Pass is a great new way to experience four of Hobart's heritage attractions. The Pass is a new joint-ticket initiative between the Maritime Museum of Tasmania, Narryna Heritage Museum, Markree House Museum and Garden, and Cascades Female Factory Historic Site. 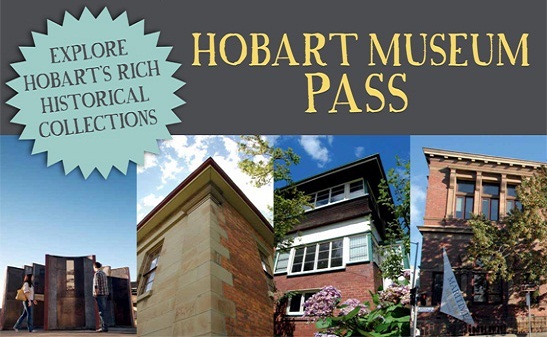 Pass-holders can explore the great variety of heritage stories and experiences available throughout Hobart, including stories of the life of wealthy colonial merchants and whalers, Tasmania’s maritime history, a 1920s house and garden, and Australia’s most significant female convict site. The Pass provides admission to all four venues within a twelve-month period. The Pass costs $35 for Adults or $25 Concession and two children can accompany each Pass-holder at no extra charge, making it ideal for families or as a gift. The Pass is available from participating venues and can also be purchased from the TMAG Museum Shop.